The old house here is one of the three oldest in the Southbridge village, built in 1879 when it was still a fledgling town on the Canterbury Plains. 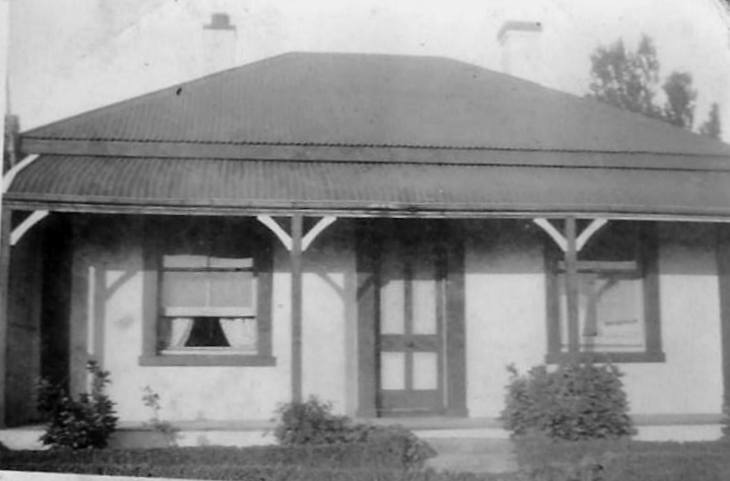 Southbridge was on the "bullock trail" which went from Timberyard Point on Lake Ellesmere across to Dunsandel and the nearest railway tracks. The bullock teams hauled timber which had been floated across from the sawmills at Little River. Some of this same timber was used to build the original Manson house at Bridgefield Farm at Lakeside. 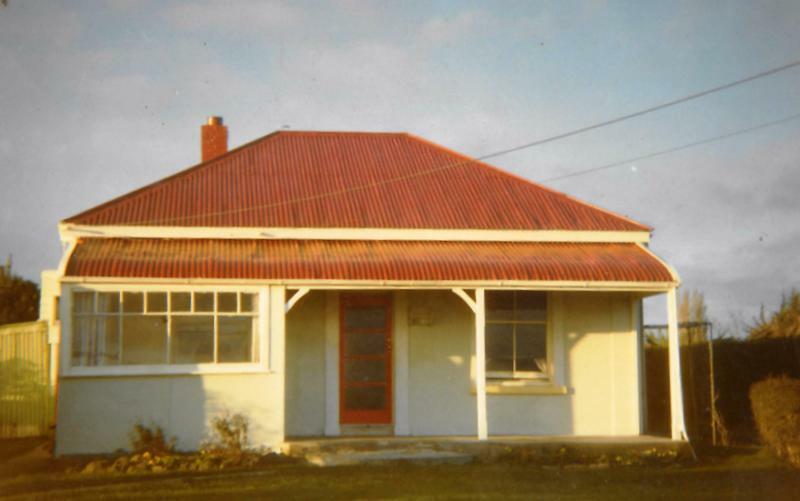 This house at Southbridge however is concrete block and was bought by my maternal grandparents in the 1940's. My mother Edna spent her teenage years here after they shifted down from Milltown. 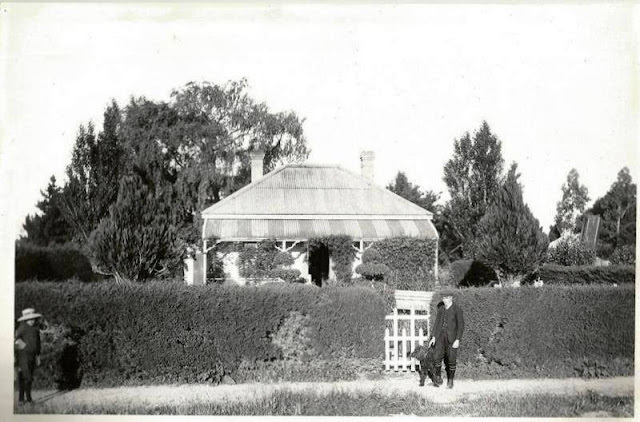 We shifted here when I was 5 years old from Sundowner Cottage, half way between Leeston and Southbridge. Speaking of bullocks - my paternal great-grandfather John Manson had driven 16 bullock teams in Australia for some time while en route to New Zealand from Six Road Ends in Northern Ireland. There is an old family story of how when he and his wife Martha were finally settled in at Lakeside on their farm that Martha had one of her best petticoats hanging out the back of the house on the clothesline drying when a rogue bullock team which had been passing along the nearby track with the driver ran away onto their place and through their backyard. One bullock ended up with Martha's best petticoat caught in it's horns and was last seen running towards Southbridge with my great grandfather running after it at his wife's urgings desperately trying to retrieve the petticoat! Despite what must have been the shock of it Martha was still the first person in Canterbury to live to be 100 years old, surpassing her mother who lived till she was 98 years old. Below : I think this may have been in the 1880's. Below : Perhaps the 1890's or early 1900's? 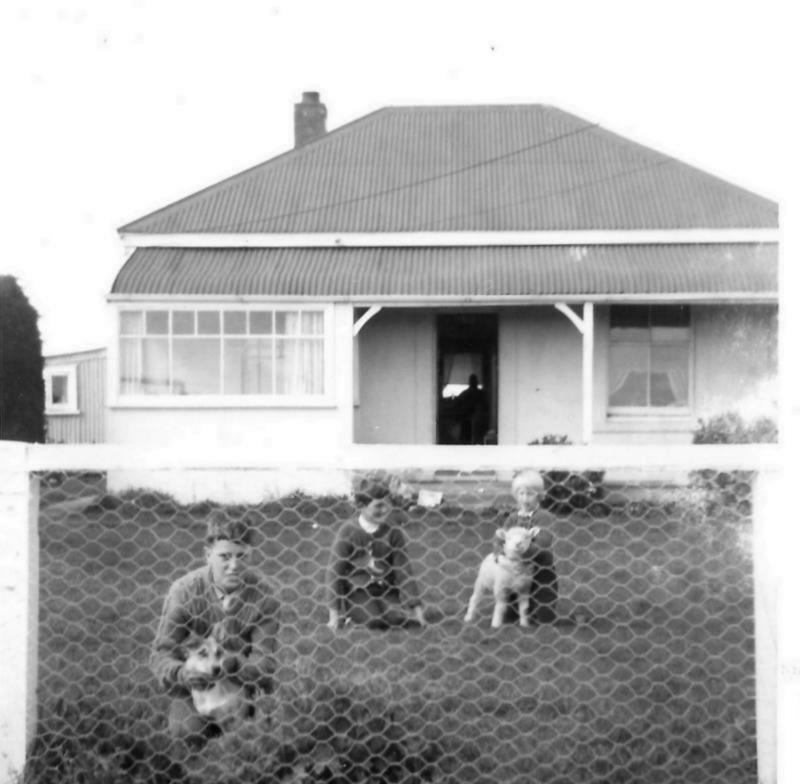 Below: 1970 after my parents bought the property from my grandfather. My brother Allan is at the front with Tiny his dog, I am in the centre and my sister Shirley is on the right with my pet lamb Sally. Below : 1970 in colour.